I’ve been asked many times how I make bases for my dolls. It’s simple. 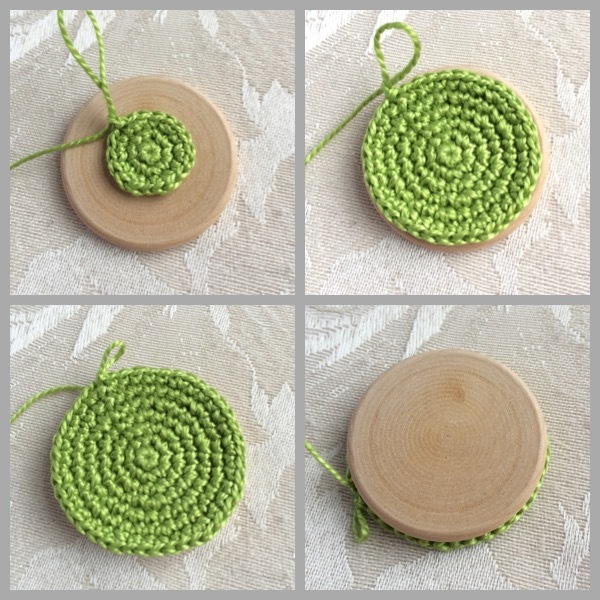 It’s just a crocheted cover for a wooden disc. Usually, I use 35mm wooden disc, 1.25mm hook and DMC Petra crochet cotton size 5 (my dolls are 9-10cm tall) to make a base. finally, I glue the wooden disc to finish off the base. 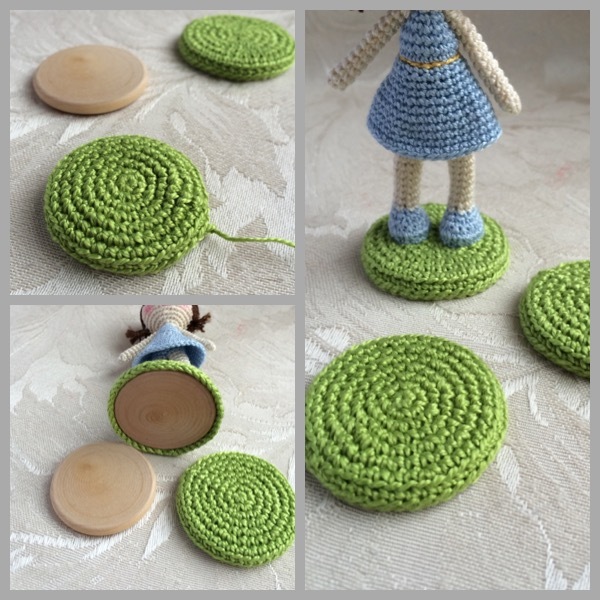 This entry was posted in Dolls, Other and tagged Crocheted doll, doll's base. Bookmark the permalink. ciao, your patterns and works are wonderful !! !